I likr her outfit. Nice coat and that color! 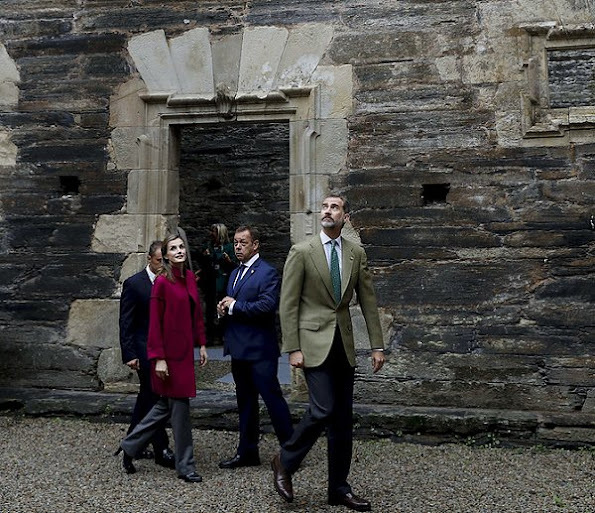 Letizia always dresses very appropriately while doing her duties. So when it is a night glam event I have no problem with her being just that GLAMOUROUS! She pretty much hits it on the mark everyday. So true, Diane. I really love that coat, the colour and the interesting cut and details. I love traditional artisanry and could have watched the ladies spinning wool for hours (and tried it myself of course). 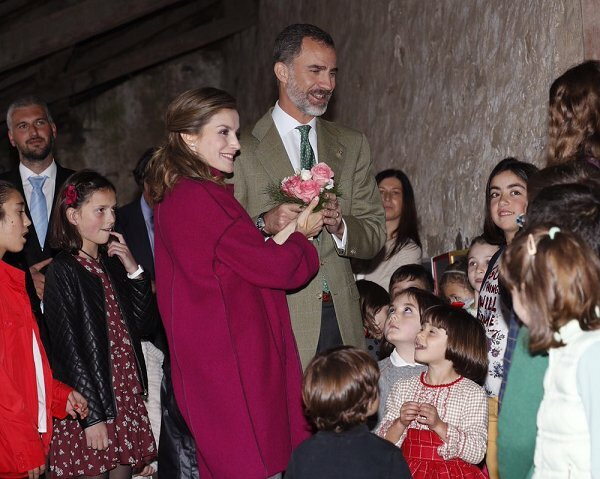 It seems as if Letizia is also interested. 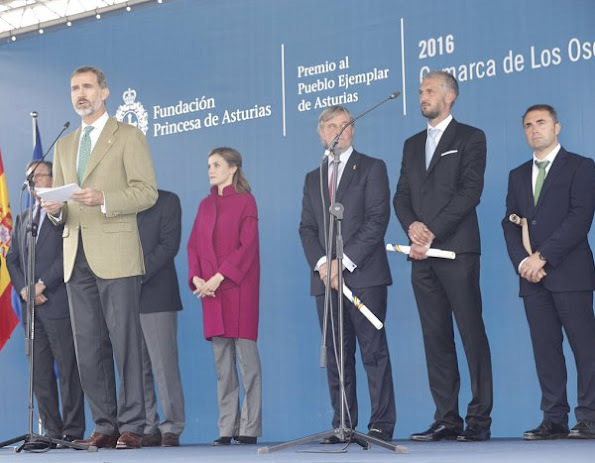 Queen Letizia shows the example of relaxed elegance. I like that term, "relaxed elegance". Very fitting for Letizia. 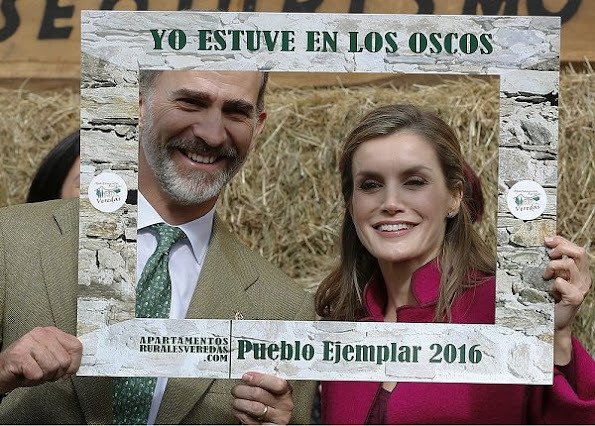 Poor Letizia. She will no doubt be devastated, because she has both of you in high regard. Sakurahime you're sounding like Angie. No need to be so sarcastic it's unlike your previous comments. This time she dressed appropriately. 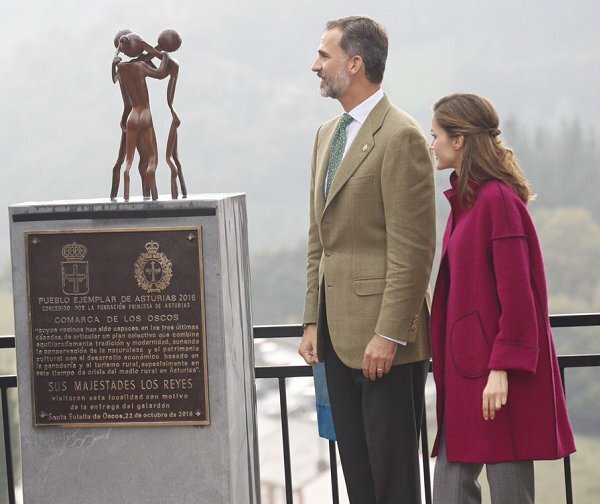 It is cold in Asturias. I like this from head to toe. Fitting and appropriate. Also, a spot on colour for her. And lately she seems to enjoy these less formal events more than the very formal ones. It's good to see that.